Why should you book an Alaskan Cruise? Alaska is one of the last true frontiers in the world and a Cruise, or land tour-cruise is one of the few ways to view and experience this wonderland. Glacier Bay National Park can be easily traversed by ship, but there are few roads into this wilderness, let alone ones that can give you the stunning vista of any of the several monumental glaciers visited by cruise ships on a daily basis. The excursions available through cruises offer a wide array of sites, sounds and flavors that showcase the wildlife, wilderness and rugged beauty of Alaska like nothing else can. With that in mind, here are a few reasons you should book your Alaska Cruise. Much of Alaska can only be seen by boat! Even Alaska’s capital of Juneau can only be accessed by boat or plane as there are NO roadways available to Juneau! A cruise is really the only way to view much of Alaska. Glacier Bay National Park – nearly every cruise through Alaska spends at least one day traversing Glacier Bay National Park, giving ship guests a view of one or more of the impressive Glaciers visible only by boat or plane. Watching a slice of ice large than the cruise ship, split and fall into the water, followed seconds later by the rumble thunder sound is a site and sound few will ever forget. Price – Due to the number of cruises offered in Alaska, there really is a price for nearly every budget. Most ports cities are easy to access form the ship, so if you can’t budget some of the tours ( and there are some pricey ones out there), a day walking around Juneau or Ketchikan is a lot of fun, and a cheap day off the ship. Night Sky – Even with the ship lights running, the night sky in Alaska is something to behold. you might even be able to catch the Northern Lights! A slice of ice the size of a bus is making a splash! 5. 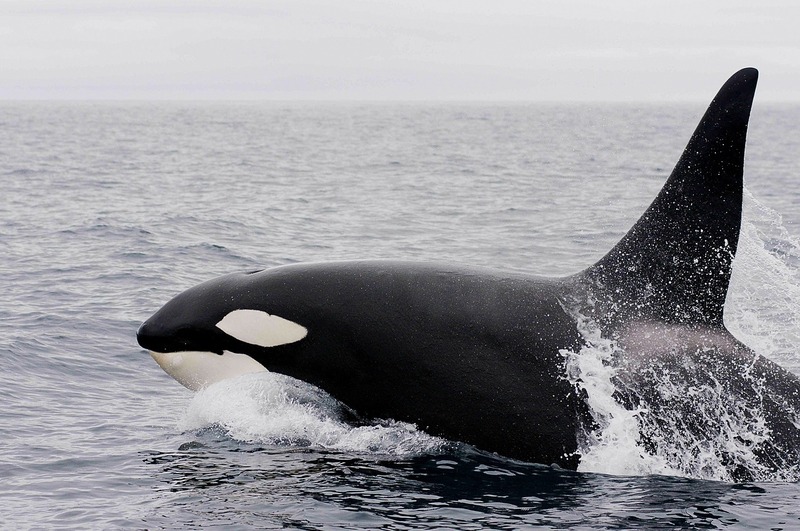 Whales and Wildlife -The wildlife viewing in Alaska is truly remarkable. Whales and other sea life, Eagles and Grizzly Bears can easily be seen from the ship itself, and and number of bus or boat tours will force your eyes wide as you find yourself holding your breath, wishing the moment would last. Be sure to take your camera and keep it handy! 6. No Age Restrictions! Alaska Cruises are for everyone. More and more ships are becoming more family orientated with lots of options for the young, and the young at heart! 7. 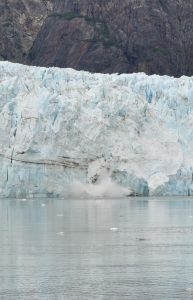 Changing Environment – Regardless of your stance on climate change, the facts point to a changing environment in this area as the Glaciers are shrinking and several species are having a hard time coping with it. What can be seen today may not be there tomorrow.